Fiat Chrysler Automobiles' U.S. unit settled an antitrust lawsuit claiming the company pushed dealers to submit fraudulent sales numbers to prop up its share price. The allegations spurred a federal investigation into whether the figures filed with the U.S. Securities and Exchange Commission misled shareholders about the automaker’s financial situation. Those probes are ongoing, FCA said. The settlement terms are confidential. 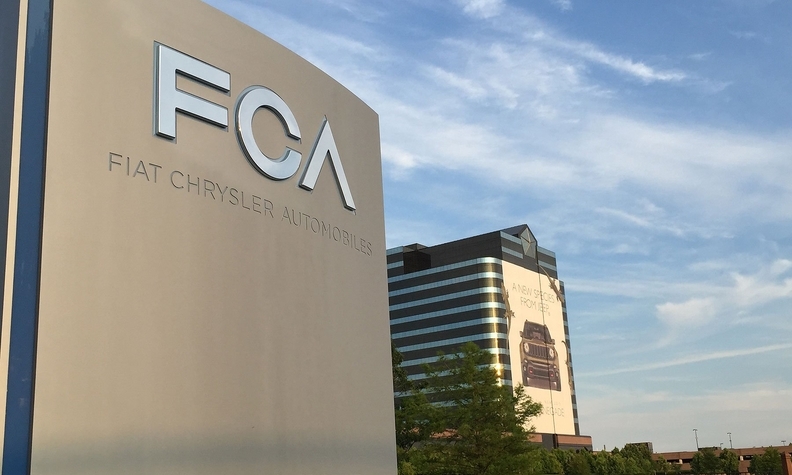 “FCA US is pleased we could reach an amicable resolution to this matter," the company said in an emailed statement. The dealers claimed that FCA "stacked the deck" against them “by soliciting fraudulent sales reports from certain dealers, and by using the numbers generated from these false sales to further subsidize plaintiffs’ competing dealers and to allocate hotter selling vehicles to them."